As the number one vibraphone player and one of the most sampled artists in history, jazz musician Roy Ayers, Ubiquity performs live jazz shows and concerts throughout New York, New York and nationwide. Vibraphonist and vocalist Roy Ayers is among the best-known and most respected jazz and R&B artists on the scene today. Providing live bookings and downloadable jazz albums and singles through Roy Ayres Ubiquity, Inc., Roy entertains countless fans throughout the country. please visit our main site. 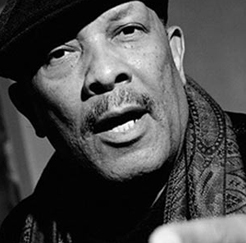 Roy Edward Ayers, Jr. was born in Los Angeles, California on September 10, 1940. Music has always been in his genes. His mother, Ruby, was a schoolteacher and local piano instructor and his father, Roy Sr., was a sometimes-parking attendant and trombonist. As it often happens in a household filled with love and appreciation for music, Roy began to demonstrate his musical aptitude by the tender age of five. By then he was playing boogie tunes on the piano. He eventually turned his attention to the guitar and other instruments, including the trumpet, and drums before embracing instrument of choice, the vibraphone. In the 1960's, Roy was an award-winning jazz vibraphonist but soon transferred into a popular R&B band leader in the 1970's and 80's. Today, the dynamic music man is an iconic figure still in great demand. To download one of Roy Ayers' jazz albums, please contact us or visit our main site.